Mt. 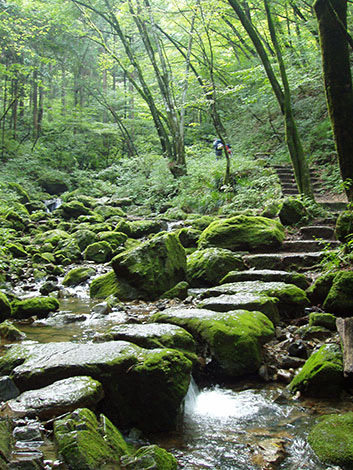 Mitake has been worshipped as a holy mountain since ancient times. There are lodgings where mountain ascetics used to stay, as well as important cultural assets including national treasures. Here, you can not only enjoy the grandeur of nature, but also experience traditional Japanese culture. Take a Nishi-Tokyo Bus bound for Cable-shita and get off at the last stop (approx. 10 mins. ).